Keizer is getting a movie theater. At its meeting Tuesday, Jan. 16, the Keizer City Council authorized City Manager Chris Eppley to sign a lease for a site in Keizer Station with the owner of Keizer Cinema 9 LLC, Charles Nakvasil. The site is located across from the Transit Center on Keizer Station Boulevard Northeast and the lease will net the city nearly $150,000 annually over at least the next 50 years. The cinema will have the option to extend the lease for up to 99 years. Construction is expected to begin soon with an opening in the fall or winter. Keizer Cinema 9 will be a first-run theater with nine screens offering beer, liquor, wine and food. In October 2016, Nakvasil approached the city about leasing the land through a broker, Pate Retail Properties. In July 2017, Keizer made adjustments to the master plan at Keizer Station allowing for the new building. In November 2017, the proposed design was unveiled at a meeting of the Keizer Planning Commission and waivers were approved for fewer windows than would otherwise have been required. The city will begin collecting rent on the property – $12,260 per month, or $142,120 annually – 90 days after the theater opens or beginning March 1, 2019. Rent will increase two percent per year with a “look back” every 10 years to adjust up or down based on the Consumer Price Index. 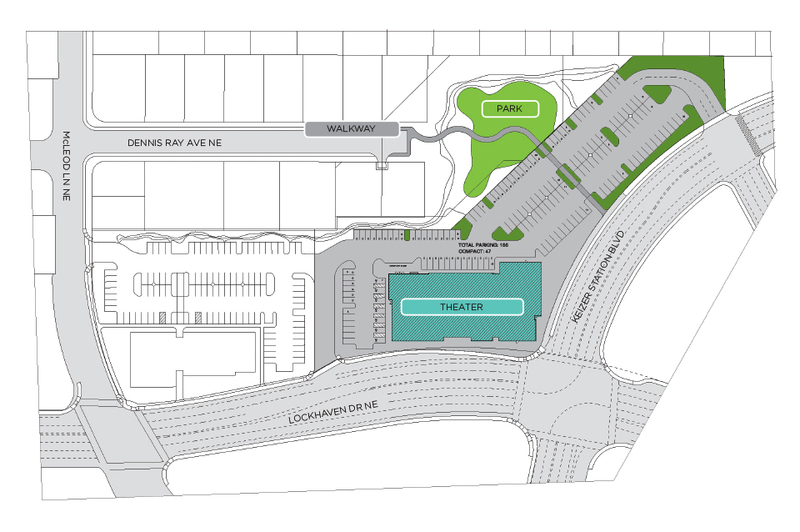 Construction of the theater will require a new, signaled intersection on Keizer Station Boulevard, that project was already in the works as part of a deal with the Salem-Keizer Transit District but will likely be fast-tracked now that the theater is imminent. The intersection will allow for left-hand turns into the cinema parking lot and for buses to turn left leaving the transit center. The city’s obligations for improvements installing curb cut entries, driveways from the street through the sidewalk, realigning sidewalks, constructing a deceleration lane on Lockhaven Drive Northeast, and constructing a sound wall on the north side of the property to provide screening to the adjacent neighborhood. Keizer Cinema 9 will be responsible for everything beyond the sidewalk. As far as when construction might begin, Keizer Community Development Director Nate Brown said Nakvasil hoped to apply for a foundation permit as soon as the end of this week. “A lot that has been happening quietly, but moving forward steadily,” Brown said. Pate Retail Properties will receive a 3 percent commission on the rent for the first 20 years of the lease. “It’s going to be cool,” said Eppley.